It’s only when tyres wear our and begin to fail that most people begin to realise the importance of them. The tyres are the only part of your car that are actually in contact with the ground, and they carry the entire combined weight of you, your car and anything or anyone else inside it. The right tyres on a car can make driving saver, improve the fuel efficiency of your car and also make the ride a bit more comfortable. 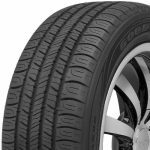 There are huge amount of different tyres available for most cars, from different manufacturers. So to get the best performance and value for money from your tyres, you have to spend some time selecting the right tyres to suit your needs. 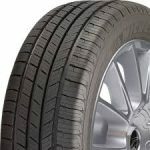 Here are a few tyres that we would recommend for your new car. 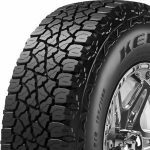 The Michelin Defender is probably one of the most popular tyres available for cars and SUVs. Although it performs well in dry weather, it’s designed to assist with quick braking, even in wet conditions. In addition to this it offers great fuel efficiency and is comfortable for the car’s occupants. The main disadvantage is the speed in which the tread wears out. If you live in an area that gets a lot of snow, these tyres should be swapped for a set of winter tyres. As the name suggests, these tyres promise reduced fuel consumption due to the fact that they have a low rolling resistance. As they are also relatively inexpensive, they are ideal for passenger vehicles and smaller cars. These tyres have a large tread, which makes braking in wet and dry conditions better than on the average tyre available in the UK. Kelly Edge tyres are one of the many extensions of the Goodyear brand. These tyres are some of the cheapest available to buy, and are available in a large number of sizes. This makes them suitable for most types of car in the UK market. 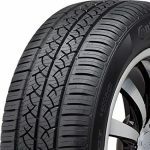 As these tyres are cheap, the rubber compound that they conists of is harder than on more expensive and performance tyres, which gives them a higher rolling distance. This means more fuel is consumed by the car, and the ride can sometimes lack comfort. The advantage is mainly in the price and the fact that they can be used on virtually any vehicle, apart from electric ones. Truecontact are the standard tyres from Continental, which is the fourth largest tyre manufacturer in the world and the number one tyre supplier in the UK. The Truecontact tyre has a low rolling resistance, decreasing fuel consumption and offering a more comfortable ride. The wet braking performance is average compared to other tyres on the UK market, but the tyre does come with a treadwear warranty of 55,000 miles, which is more than on most tyres available in the UK. 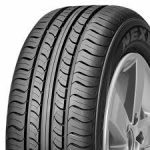 Despite that fact that Nexen are a relatively unknown brand of tyre, the CP Series car tyres are considerably cheaper compared to more reputable brands, but they are very similar in terms of quality. Thanks to the four grooves along the tread, they perform well in wet weather and offer a smooth and comfortable ride. Although Nexen CP Series tyres are fairly soft, the material used is high in quality and the tyres will therefore last for a long time. So there you have it, a few of the most recommended tyres from the most reputable brands available in the UK today. When it comes to buying tyres for your car you really shouldn’t scrimp just to save a small amount of money.